One of the great ironies of Customer Experience Management (CXM) as a discipline, is that many of the surveys designed to help businesses gather the data they need to improve Customer Experience offer terrible User Experience (UX). I’m referring specifically to the surveys frequently sent out via email by brick-and-mortar chains or found at the bottom of their receipts etc. but the same principles apply to most surveys. The poor user experience goes a long way towards explaining why the response rates on surveys placed on till receipts are frequently lower than 1% and why the open rates on emails requesting feedback are in decline. 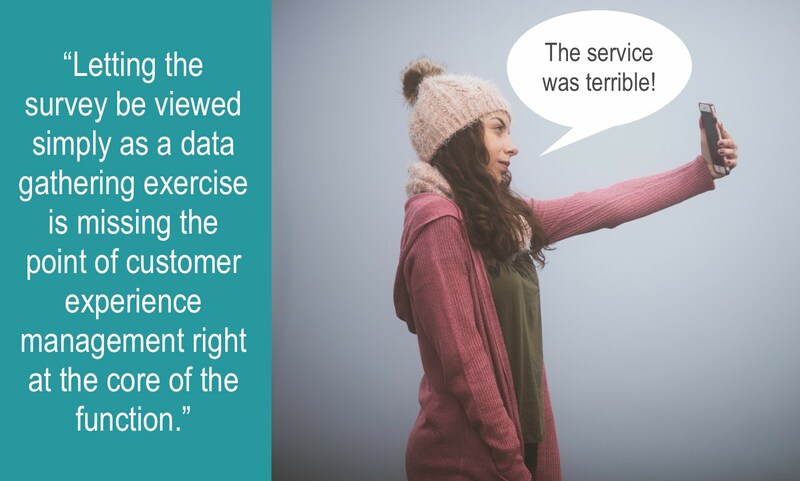 If your customers are having thoughts like these when completing your CX survey, then you could actually be damaging the customer experience and you are definitely missing a great opportunity to make a good impression on customers. So what can you do to improve the user experience of your in-store customer feedback survey and make it more respondent-friendly? 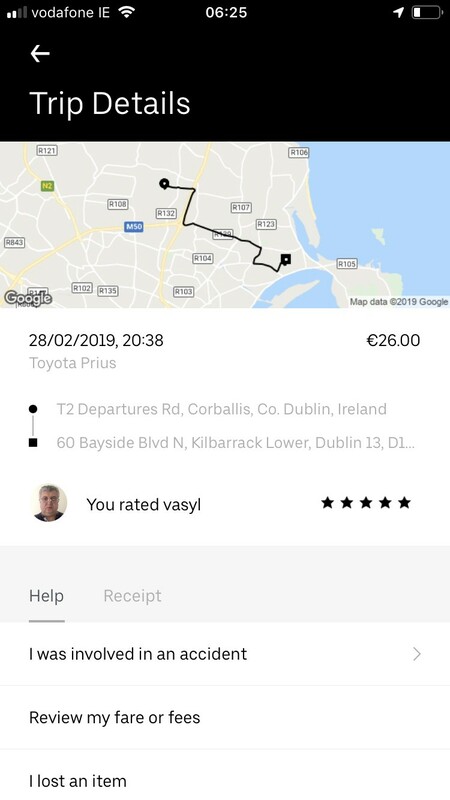 I tap the driver feedback rating in Uber every time I use it because I know the survey is painless and is beneficial to both the driver and other users of the service. Matching that user experience on your retail store's survey will produce a significant increase in survey engagement and completion rates, primarily because people will be willing to do it more than once in their lifetime. If you really want customers to complete a 30-question survey about their in-store experience you should consider paying them. That length of survey will take a considerable time investment from the customer. Being entered into a draw with very poor odds in return for such valuable information is not a fair exchange of value. It’s also difficult to come up with 30 really good questions. Don't underestimate how irritating it is when a survey includes near duplicate questions, questions you should already know the answer to or covers things that are totally irrelevant to that customer’s experience. Put simply, a long survey is highly likely to antagonise customers and that is surely the last outcome you want. If for whatever reason, you need to ask a lot of questions, it’s so much better to make that clear to the customer upfront or at least ask their permission after you’ve collected the first few key pieces of data. The alternative involves luring them into doing something that they’ll resent you for 5 minutes later. Given that you’re attempting to capture feedback to help improve CX, annoying customers in this way would be both ironic and hugely counterproductive. To encourage repeat survey engagement we recommend customers keep questions to a maximum of ten and aim for seven or less if possible. And only one or two of those questions should be free-form questions. Key Tip: Always try to capture an NPS score or some other way to filter feedback prior to capturing the video. When we capture video feedback we convert the speech to text and perform some A.I. based sentiment analysis, but having a firm sentiment filter make sorting videos much more accurate. Visually stimulating questions are so much more engaging than plain text and consumers have become increasingly familiar with emojis through use of their mobile devices and social platforms. I don't have hard numbers on this (yet), but we believe surveys that use emojis have higher survey completion rates than those that don't. Key Tip: It's tempting to get creative and use all sorts of emojis but we don't recommend that. Unless you're dealing with an extremely emoji literate community (e.g. gamers) stick with happy and sad faces to avoid confusion. WhatsApp and Facebook Messenger have displaced voice calls and SMS as the primary ways consumers communicate with each other and are increasingly doing the same thing in terms of customer service communications. It's now possible to use some of these applications (Facebook Messenger is the most developed) to capture customer feedback using tools like ServiceDock. They incorporate tools that make it easy to engage consumers in physical locations (e.g. Messenger Codes - see point 3) and provide lots of other benefits also. Key Tip: Always provide a web-based option alongside the messaging app survey. Outside of China (where we chat is ubiquitous), it is very presumptuous to assume everyone is using X, Y or Z application. A few years ago this section might have been called “Make Your Survey Mobile Optimised” but if you’re not doing that already then you‘re probably not reading this article. What I’m talking about here is removing all the friction from getting started on the actual survey. In particular, I’m talking about end-of-receipt surveys and table tent based surveys which require the customer to stop what they’re doing and take out their phone to do your survey (unless it's an email circulated survey it will nearly always be done on a phone). That is a huge ask in a world full of digital distractions. But many businesses still expect consumers to type out a long URL, then enter loads of personal information and jump through all sorts of other hoops before they provide actual feedback. The URL is unnecessarily long and is the only way provided to access the survey. You had to answer a total of 4 questions related to determining the location before getting into the actual feedback questions (i.e. they don’t even know which country you’re in before telling them). “Got a minute” turned into “Only a few minutes of your time” once you accessed the survey. This is not a customer-centric survey. It is designed primarily with the business experience in mind (e.g. printing one set of table tents to be distributed worldwide - the canteen is run by Aramark). To my mind, it demonstrates a certain lack of respect for the customer’s time which is the antithesis of good CX. It would not take much effort to significantly improve the UX of this survey by using a unique link that means the customer doesn’t need to go through those first few questions (or at least narrow it down to a specific country). Adding a location-specific code that can be scanned with a phone has the same effect and offers a much more pleasant way to access a survey, as long as you explain how to do it. Most people discount QR codes because they think they need a special app to scan them. But the native camera in all iPhones and some Android phones can now scan them. You just need to tell them that. Some of our clients have had great success using Facebook Messenger codes (see image) to engage customers with messaging based surveys. Not only does this mean a location doesn’t have to be picked, but customer details like name, gender and location are also captured without having to ask for them. That means you can get straight into proper CX questions like NPS and you can seamlessly follow up with customers without needing to ask for a phone number or email address. Providing incentives to encourage more customers to provide feedback is common practice and highly recommended if you want to increase survey engagement. However, if you’re going to do it, you should be honest and upfront about what the incentive is and how it works. One of the leading providers of CX management software run a prize draw across many of their client companies so that their clients can offer higher attention-grabbing cash prizes at a low cost to each individual retailer. This is only clear if you dig into the detail, so from the average consumer’s perspective, they probably think the odds of winning the prize are pretty decent. Having checked the winner details on the competition, the reality is that there hasn’t been a UK winner for periods of 6 months or more and 90% of the stores belonging to the retailer who’s receipt I used to access the competition are UK-based. While nothing illegal or even immoral is being done here, this practice definitely reflects poorly on the attitudes of the companies involved towards their customers. Another example is the way one of the largest fast food operators in the world requires customers to return to the same store to get the free cookie they earned by completing the survey. That’s not always convenient or even possible, though I understand logistically it’s easier to operate (i.e. each franchisee incurs the cost of capturing their own feedback). Ultimately, it’s not a very customer-centric incentive, though it’s far better and fairer than the previous example. Some of our clients have taken a different approach and have seen very strong survey engagement by implementing instant win incentives (e.g. digital scratch cards). This makes the incentive even more transparent (you find out if you’ve won or not on the spot) and also adds a fun element to the incentive. Consider what you can do to make your incentive more attractive while being very transparent. If you’re familiar with Fredrickson and Kahneman’s peak-end rule, you’ll know that customers rarely consider the entirety of an experience when judging it after the fact. They tend to remember the most impactful moments (the peaks) and the final interaction (the end). The average of these feelings become the overall memory, even if the rest of the experience was better or worse. Most businesses don’t consider their feedback survey to be part of the customer experience, when in fact, it is very likely the last experience in most customer journeys. Unless you follow up! That means a poor user experience around the survey could be very damaging (see customer thought quotes above) and conversely, impressing the customer at this point could have a disproportionately positive impact on their memory of the experience. Responding to customers can have a disproportionate impact on metrics like NPS (see this HBR article on how responding to customers can increase NPS by as much as 59) and it will also encourage repeat survey completions. But who has the resources to do that? Unhappy customers who are contacted can be retained as customers and potentially be transformed from detractors into promoters. Happy customers who are contacted have their feelings towards the brand amplified which strengthens loyalty and customer advocacy. The expense involved in doing this may seem prohibitive but it doesn’t have to be. 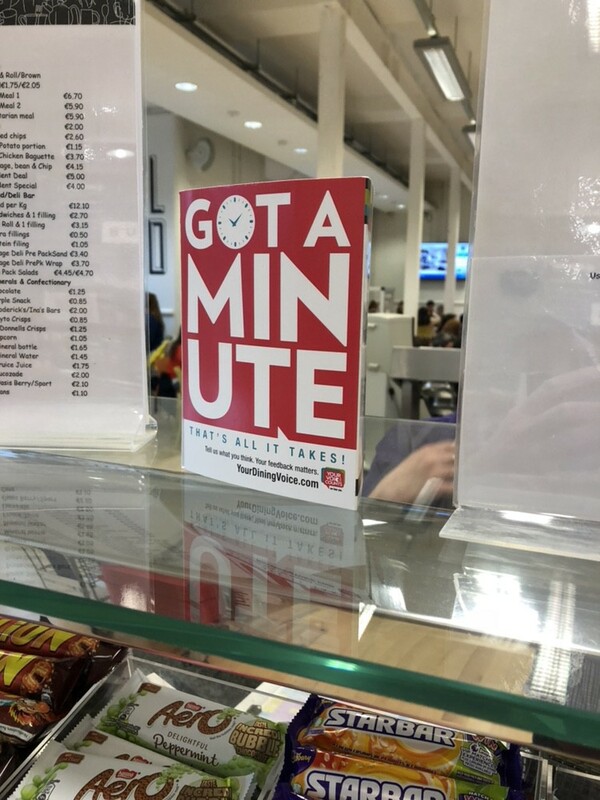 We have clients who are using store staff to do it during off-peak times, which can actually increase store staff productivity and lower customer service overhead in head office. In many ways the customer feedback survey and what comes after it are the face of the customer experience team as far as the consumer is concerned. Unfortunately, it may also be one of the few things that the CX team has total control over, so making it as customer-centric as possible is important. After all, it is important to lead by example and the more data you capture the more reliable your insights are going to be. Implementing small improvements like those listed above has helped some of our clients achieve very high survey engagement rates (up to 38% in the case of one Sky store). Letting the survey be viewed simply as a data gathering exercise is missing the point of customer experience management right at the core of the function. There’s an opportunity to make it a signature moment for your customers which could be hugely beneficial to your business. Take it!